The first Bicester Heritage Sunday Scramble of 2019 attracted many historic classics as well as a plenty of crazily modified cars. The world of classic cars is a vibrant place for enthusiasts with just about every breed welcomed. You get a true sense of this at classic car events such as Bicester Heritage’s Sunday Scramble in the UK where a diverse mix of four-wheeled heroes attend. At the first show of this year, Bicester appeared to play host to many modified classics as well as the usual thoroughbreds. YouTuber Adam C attended the event where thousands of cars were on display. 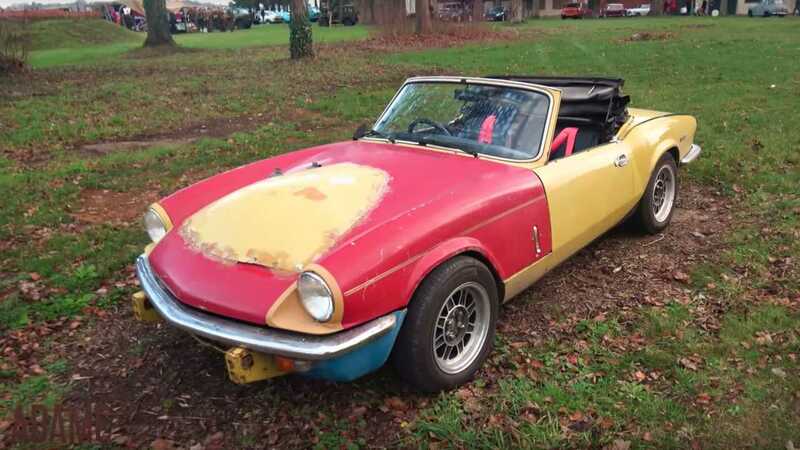 Amongst the eye-catching Lamborghini Huracan Performantes and a Porsche 911 Turbo Exclusive Series, were oddities such as a patchwork Triumph Spitfire. Upon closer inspection it would appear that the rustic bodywork modifications serve to host a larger engine from a Triumph GT6. Japanese tuner cars were also out in force with homemade drift cars based on Nissan Skyline R32s and a 200sx. You can also catch a glimpse of a tastefully enhanced 1966 Corvette Stingray — a rare sight in the UK. A really intriguing project car found amongst the crowds was a rat rod based on a classic Volkswagen Beetle. This car truly proved that less is more, missing most of its front and rear bodywork. A great side effect in its state is that the modified air-cooled engine is totally exposed for all to see. The interior is also spartan with an Alcantara covered roll cage being its only luxury. Of course, there were also plenty of questionable customization projects such as a Ford Anglia with a Mazda 323 engine and a BMW-based Ferrari 250 California replica. 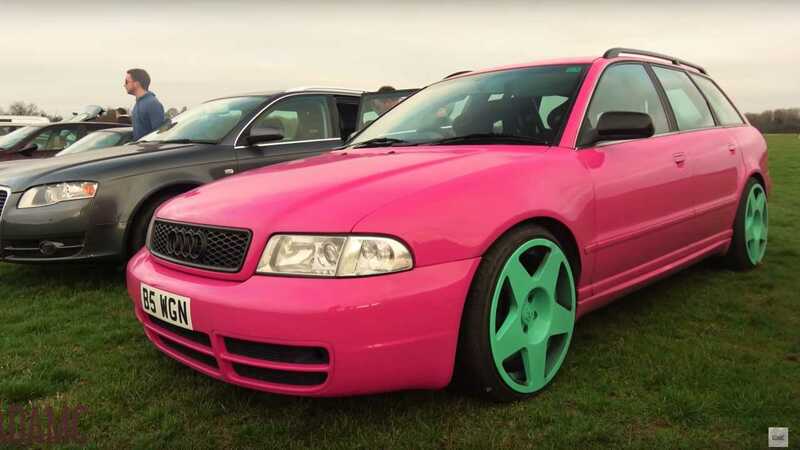 However, the undoubted winner of ‘The Questionable Taste Award’ goes to a pink and turquoise Audi S4 Avant — shield your eyes! The video is well worth watching, not just if you’re a fan of modified motors, but also rarified classics. It’s the automotive equivalent of 'Where’s Waldo’. If you’re interested in attending the next Bicester Heritage Sundar Scramble, the next event takes place on 28 April 2019.